Mattern Family: Children should get the best of their mothers! Children should get the best of their mothers! 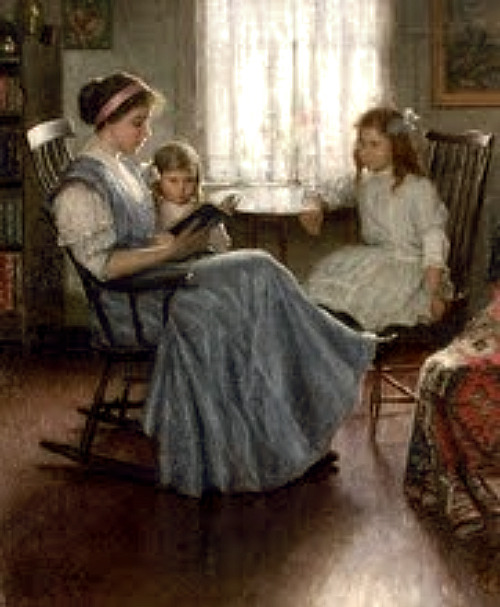 "The parents' chief care is, that that which they supply shall be wholesome and nourishing, whether in the way of picture-books, lessons, playmates, bread and milk, or mother's love." "Children should have the best of their mothers"
I have been re-reading Charlotte Masons volumes to refresh my mind and spirit. I find that there is just so much meat in each one! This quote from her above says it all in regards to our goal in educating our children.. we are to give them the best! The best of their mother, the best of their father, the best books, food and experiences! I had to stop and think am I supplying my little ones with the most wholesome and nourishing things that they deserve, am I giving them my best? Am I giving Father my very best in raising these little ones that He has lent to me to foster, teach and train for His work? Am I working as unto Him or as unto men? Lots of soul searching going on within these walls between the books, the meals and the teaching! I find it interesting that we doubt our worth and qualifications as mothers yet we forget that we have been qualified by the Creator Himself! Well said. I have been reading Home Education and you are right, it's fantastic. I have been slowly working through Charlotte Mason's books for years. I'm quite afraid that by the time I am finished I will be working on many grandchildren! !